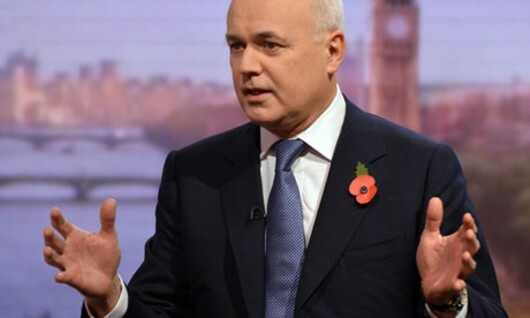 Still poor despite the statistics: IDS and his DWP spin-doctors need to get something clear – children haven’t stopped becoming poor, just because of a skewed set of statistics. Incomes have dropped – meaning MORE children are in poverty than before. According to a TUC report, average wages have dropped by 7.5 per cent since the Coalition came into office. This has a direct impact on child poverty statistics, which the government has conveniently ignored in its latest, Iain Duncan Smith-endorsed, child poverty figures. Child poverty is calculated in relation to median incomes – the average income earned by people in the UK. If incomes drop, so does the number of children deemed to be in poverty, even though – in fact – more families are struggling to make ends meet with less money to do so. This is why the Department for Work and Pensions has been able to trumpet an announcement that child poverty in workless families has dropped, even though we can all see that this is nonsense. As average incomes drop, the amount received by workless families – taken as an average of what’s left – appears to rise, even though, as we know, the increase is not even keeping up with inflation any more. The problem lies in proving it. Let’s do a rough calculation. In 2007-8, Jobseekers’ Allowance for a couple with at least one person over 18 was £92.80 per week (£4,839 per year). It is now £111.45 per week (5,811 per year) – an increase of 20 per cent in real money (not inflation-adjusted). In the same period, average earnings for those in employment rose from £26,020 per year (according to the Office for National Statistics’ Annual Survey of Hours and Earnings (ASHE)) to £26,500 – the figure we all know from the government’s calculation of its benefit cap). That’s an increase of just 1.8 per cent. This doesn’t mean unemployed people are receiving too much – it means wages are being pushed down, as the TUC report shows. They are only ‘scratch’ figures – accurate data was impossible to find on the Internet this morning – but they show that JSA as a percentage of average wages has risen from 18.6 per cent to 21.9 per cent (roughly). So workless income has risen in relation to the national average, meaning that child poverty in this sector appears to have dropped. Alternatively, you could just use your common sense: People on benefit are not well-off, especially under a Conservative or Tory-led government. The government’s figures don’t take 2007-8 – the year incomes began to drop – as their baseline figure. “To keep the absolute measure more in line with contemporary living standards” they use 2010-11 as the baseline. Incomes had already begun to drop by then, meaning the figures are misleading. In fairness, the press release does state that “you cannot compare this year’s published figure with last year’s” because of that change. “New annual poverty statistics (households below average income) out today, show how the number of children in workless poor families has reduced by 100,000 children over the past year (a two percentage point reduction).” While correct within its frame of reference, in comparison with previous income averages, this must be wrong. “The statistics for relative poverty – the most commonly used poverty line – also show that the most vulnerable groups have been protected as pensioner poverty fell by 100,000, disability poverty by 100,000 and child poverty stayed the same.” Wrong. 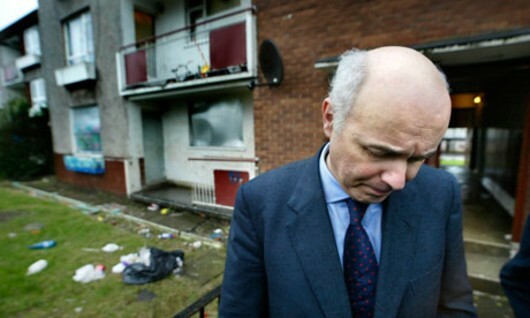 “The number of children in absolute child poverty has increased by 300,000.” Wrong. “Work remains the best route out poverty – these statistics show how children in workless households are around three times more likely to be in poverty than those in working families.” Absolutely wrong! How can the last claim be correct? If the number of children in workless poor families has dropped by 100,000 but the total in poverty has risen by 300,000, that’s an extra 400,000 children belonging to working families who have fallen into poverty – by this government’s own figures! Out comes Iain Duncan Smith with his latest lie: “We have successfully protected the poorest from falling behind and seen a reduction of 100,000 children in workless poor families.” Shockingly wrong! Let’s get some sanity from the Huffington Post and Metro: “Some 2.3 million children were recorded as living in relative poverty between 2011 and 2012, in official government statistics,” the HuffPost reported. Interestingly, this compares with a Metro report claiming 3.8 million were in ‘absolute’ poverty (which is a statistical measurement, not a statement about how poor they actually are). Metro goes on to say this means more than one in six children are in relative poverty. 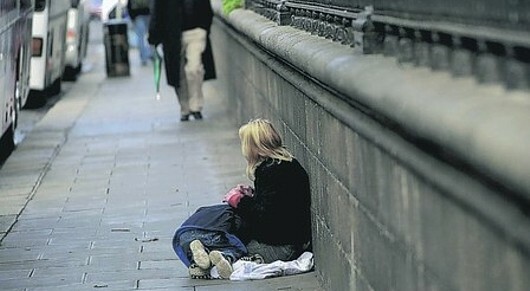 “Two out of three children living in poverty, 66 per cent, are now from working families. This has risen from 43 per cent in 1996-1997 and and amounts to 1.5 million children, according to analysis of the figures by the Resolution Foundation,” says the HuffPost. “The proportion of children in poverty from working families has risen sharply since the start of the financial crisis in 2008.” In other words, Iain Duncan Smith and the DWP have lied again. “Poverty is calculated by households living with less than 60 per cent of median average disposable income, compiled by the Department for Work and Pensions. But statistics have been skewed because of the fall in wages. If the number was calculated using average household income from the previous year, the number of children in poverty rises by 300,000.” This confirms the argument I am putting forward. Oxfam and Barnardo’s have both criticised the government over the figures. The Government has a legal responsibility, under the Child Poverty Act of 2010 (passed by Gordon Brown’s Labour government), to reduce relative child poverty to below 10 per cent by 2020. … but across the nation’s working people, real poverty will be absolute.